Having cavities filled isn’t fun for anyone, but the good news is that composite resin fillings give patients a result that is natural-looking and discreet. Years ago, gold and silver fillings were the only options, but now patients can choose a safe alternative that supports and strengthens the tooth. If you are in the Kennesaw, GA area, turn to Drs. Breckley and Vo at Thirty Two Dental for all your restorative needs. Composite resin has multiple uses. In addition to filling cavities, it can be used on teeth that are broken, chipped, or worn down. it is much safer than silver amalgam, which contains about 50 percent mercury, a known toxin. Sedation is available, if desired. Many patients opt for just local anesthetic, but we also have oral conscious sedation available for patients who need it. Once you are comfortable and the area is sufficiently numb, Dr. Breckley or Dr. Vo will remove the decayed portion of the tooth and clean the area out to eliminate any remaining bacteria. The composite resin material is then applied into the cavity in layers. A light is used to harden each layer prior to adding the next one. Afterward, the dentist will smooth and polish the filling to complete the restoration. Color-matching – Every tooth is a unique shade. 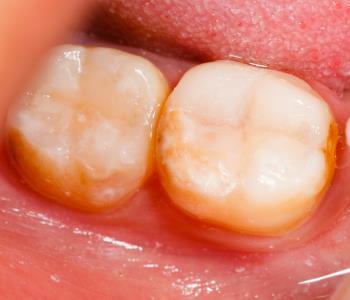 We can match the resin as closely as possible to the existing tooth structure for a natural look. Long-lasting – Composite resin fillings can often last 5-10 years when the teeth are properly cared for. Strengthens – Because the resin is applied directly to the tooth it strengthens it to prevent breaking. To learn more about composite resin fillings, call Thirty Two Dental today at (770) 423-1132 to schedule your consultation.